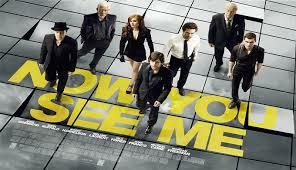 A film about 4 magicians who are great at what they do, performing magic tricks that defy the imagination. They are invited by a mysterious person to perform as the 4 Horseman, a nod to the apocalyptic crew, to rob banks in front of an audience. Almost like a modern day Robin Hood meets magic man Chris Angel. Detectives are brought in to figure out what is going on, but the magicians always seem to be one step ahead of them. In one scene they fill a car with balloon animals, wtf. Overall, this movie was boring and confusing. I love the actors in this flick, Isla Fisher, Woody Harrelson, Mark Ruffalo to name a few, but it did not live up to the hype. I just wanted to see this movie disappear back into the hat. 1. It’s confusing. Half of the time I did not know what was going on and I felt like I was being tricked. Not the cool kind of tricked like Memento, the kind of tricked where you just get annoyed. 2. Jesse Eisenberg and his shadowy wanna-be beard. 3. 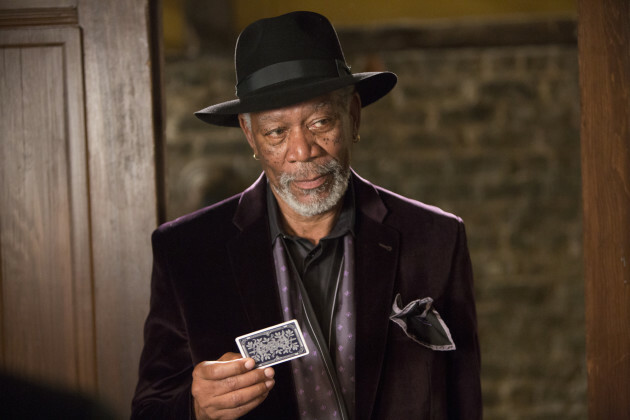 I still don’t get why Morgan Freeman is in this movie. I love him as an actor, but I feel like he was just put in the movie for the sake of promoting him on the billet. 4. I wanted to see the love grow between the two main detectives, Dylan (Mark Ruffalo) and Alma (Melanie Laurent). I wanted to see it turn into something, but it really doesn’t so I don’t get why it is even in the movie. 5. None of the characters make you root for them. I didn’t grow close to any. The character development was spotty to say the least.